We are a limited liability partnership, registered in England and Wales, partnership number OC304688 and our registered office is at Cumberland Court, 80 Mount Street, Nottingham NG1 6HH. If we use the word partner here or in any letter or email we send you, we mean a member of the limited liability partnership. 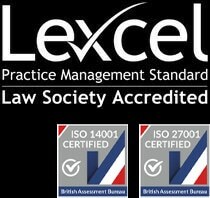 We are authorised and regulated by the Solicitors Regulation Authority. You can find a copy of the SRA Handbook, which includes the SRA Code of Conduct, at www.sra.org.uk/handbook. You can inspect a list of the names of the members of Kimbells Freeth at our registered office during normal business hours. Click here to download our full terms.